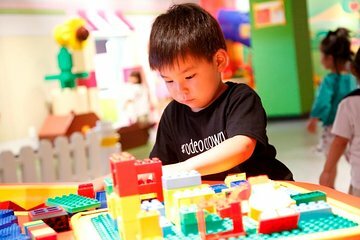 Visit LEGOLAND® Discovery Center Osaka between Monday and Friday with this special weekday ticket for one adult and one child (aged from three to six). Making a fun day out for all the family, the indoor theme park is home to millions of the iconic toy bricks along with rides, attractions, and even a brick factory. Check out the 4D cinema experience with its special effects, and learn how to make unique creations during a LEGO® class.